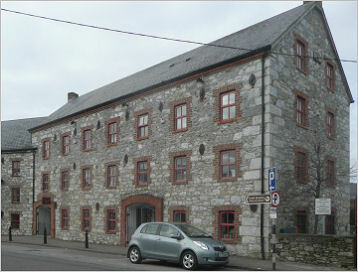 The Craft Granary is a beautifully restored 19th Century grain store, located in Church St. Cahir, Co Tipperary. It acts as a showcase for quality handcrafted items from the South East of Ireland. The craft centre features pottery, glassware, woodturning, occasional furniture, photography, fashion accessories, soft furnishings, handmade cards, jewellery, children's toys with a celtic twist and local food products. They are members of the Craft Council of Ireland so all their products are unique and meet a high standard of craftsmanship. A Gallery on the 1st floor features exhibitions by local artists and sculptors and entry is free of charge.